The long Cherished need of Agriculture Education was met with the initiation of the College of Agricultural Engineering & Technology in the year 2003, College of Agriculture in 2005, College of Agricultural Biotechnology in 2008, College of Food Technology in 2009, College of Agriculture Business Management in 2011 & College of Horticulture in 2013. Agriculture and Allied Colleges are the premier educational institutes within jurisdiction of Mahatma Phule Krishi Vidyapeeth, Rahuri and are occupying a significant place on the Agricultural educational map of the state. 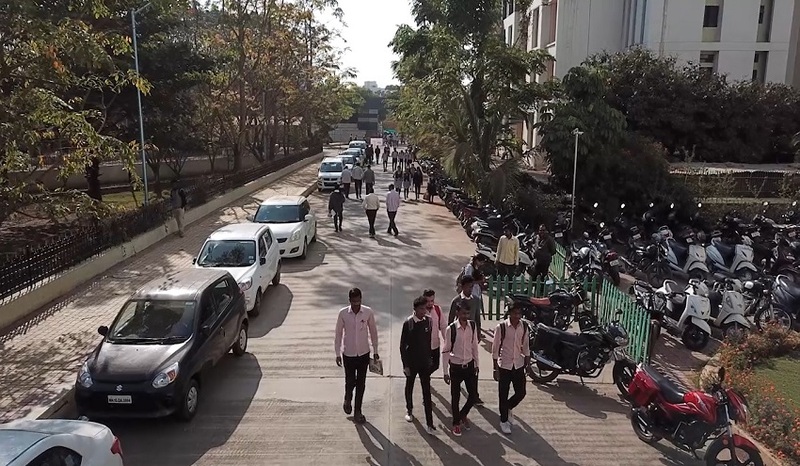 All these colleges are well equipped, fully developed and accredited for excellence in quality education by Maharashtra Council of Agricultural Education and Research (MCAER), Pune. Agriculture and Allied colleges aims to cater the upcoming demands of the Agrarian economy by generating young workforce with knowhow of future ready technology in agriculture and allied fields. The Colleges have trained teaching faculty, blend of experienced and energetic persons committed to Teaching, Extension and Research. All these colleges having state of art infrastructure facilities in terms of building, laboratories, lecture halls, instructional and research farms, modern instruments/ equipments, farm machinery, library facilities, computer network with round the clock internet facility, transport and playground. Total built up area of Agriculture and Allied Colleges is 1, 75,000 sq. ft. All agriculture and allied colleges have their instructional and research farms at different locations viz; Mhasrul (3.63 ha), Makhamalabad (30.47 ha), Vilholi (8.71 ha), Shivangaon (45.00 ha), Babhaleshwar (32.29 ha), Madhavnagar (18.50 ha) in and around Nashik City. This land is utilized for seed production, cereal and pulses production, cultivation of fruits and vegetables, demonstration of seasonal crops etc. Colleges provides quality seed of soybean, wheat, gram, black gram and also planting material of mango, sapota, pomegranate, custard apple, guava, lemon, tamarind and ornamental plants to farming community. Shednet, Polyhouse, Bio-agents production unit, Nursery, Testing and Consultancy units are established at college farms. 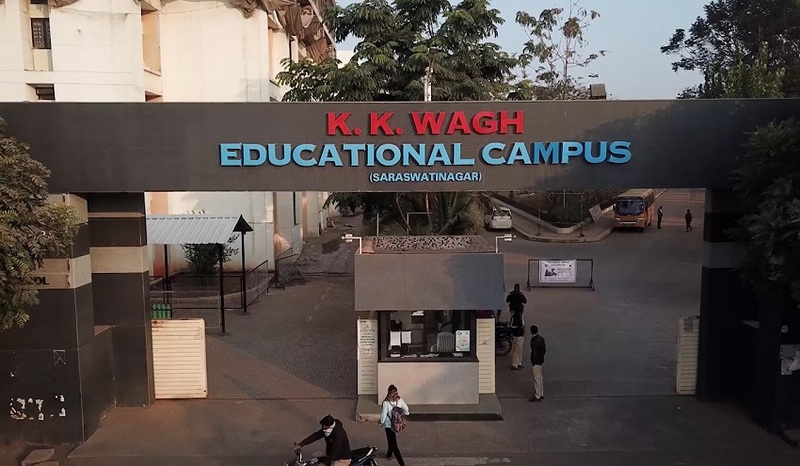 The objective of K. K. Wagh Education Society is to provide quality education at affordable cost. The quality culture has been developed in all the institutes. All institutes have State-of-the-Art laboratories with latest equipments, computers & internet connectivity. Other facilities provided to the students include gymnasium and sport facilities, hostels for boys and girls, mess and canteen, transportation facility etc. Highly motivated and qualified faculty engaged in teaching, research, consultancy, training, testing and designing is a major strength of all the institutes. 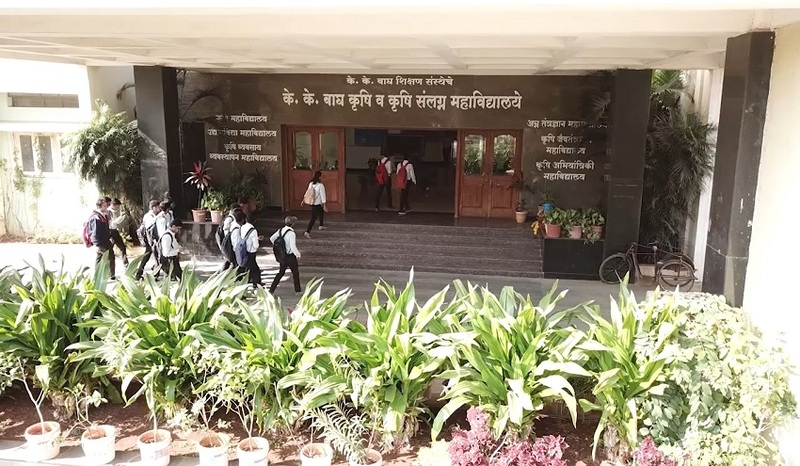 A small sapling planted by Karmaveer Kakasaheb Wagh has grown into a big tree with 34 institutes having over 20,000 students engaged in studies from K.G. to Ph.D. in various fields. There are over 1,800 dedicated employees following the Indian ethics and striving hard towards developing the World Class institutes. Empowerment of students through need based agriculture education pertaining to efficient utilization of natural resources for sustainable agriculture development. To transform agriculture sector in to growth engine of Indian economy. To secure food and nutritional security of the people of India and the World. To protect the environment by dissemination of eco friendly sustainable farming practices.